DescriptionOur "Mrs & Mrs" heart-shaped ring dish, in porcelain, comes in a beautiful gift box. Made by East of India. 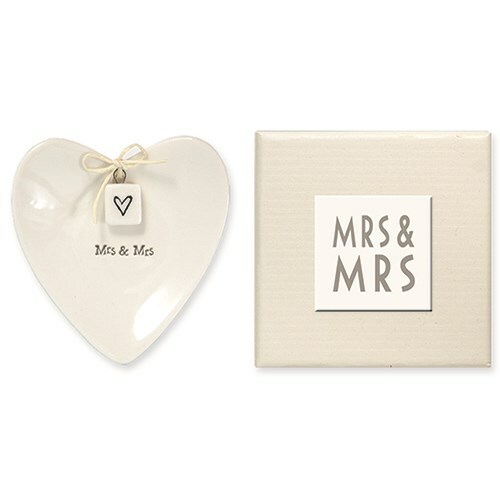 Our "Mrs & Mrs" heart-shaped ring dish, in porcelain, comes in a beautiful gift box. Made by East of India.